TMR Systems staff have considerable experience with the design, deployment and maintenance of Perimeter Detection systems to suit commercial, industrial and process monitoring applications with customers in the mining, manufacturing and processing industries. Energized fences are a powerful deterrent, preventing or delaying intruders. Configurable protection zones, adjust a site specifically to the deterrent level required. 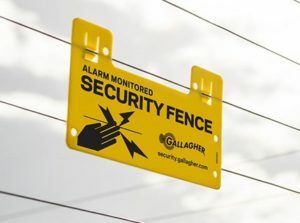 Sensors can be used with the networked Gallagher security fence as an additional layer of detection, or for sites wanting to monitor activity without the deterrent pulse. Gallagher’s Command Centre is a powerful operator-friendly security management system. Gallagher perimeter products are designed to comply with international safety and electromagnetic compatibility standards. These standards set out the safety requirements for the design, installation, and operation of pulse fencing and associated equipment. The power of Gallagher Command Centre allows extensive integration with other systems. This enables seamless interaction with third party perimeter products or extends the capabilities of Command Centre at the perimeter to provide greater site management value.